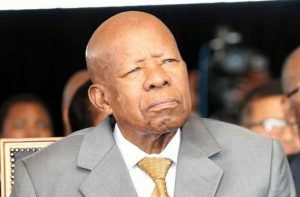 Jun 26, 2017 (GIN) – Botswana has declared three days of national mourning after the death of former President Sir Ketumile Masire, aged 91. Sir Ketumile, often known as Quett, who led the country from 1980 to 1998, is credited with being the architect of the country’s famed stability, reports the AFP news agency. He was also involved in peace initiatives across Africa, playing a pivotal role in the fight for independence and sovereignty for Zimbabwe, Mozambique, South Africa, Namibia, Angola, among others. In addition, he was instrumental in the formation of the regional bloc SADC (Southern African Development Community) that is headquarter in the Botswana capital, Gaborone. A self-described “farmer who has been drawn into politics”, Sir Ketumile was credited with leading his landlocked nation through a drought that dragged on for much of the 1980s. In 1989, he shared the Africa Prize for Leadership, valued at $100,000, from the charitable organization the Hunger Project in recognition of the food distribution efforts that helped the country avoid starvation during the crisis. When his parents passed away when he was in his early 20’s, he suspended his education to become a teacher to support his siblings, according to Emily Langer of the Washington Post. He later worked as a newspaper journalist, an activity that along with his community involvement helped draw him into politics. He served on tribal and regional councils and was a founder and secretary general of the Botswana Democratic Party, now the country’s dominant political party. Sir Ketumile became president after the death of Botswana’s first post-independence leader Seretse Khama in 1980. He stepped down in 1998 after overseeing a period of strong economic growth based on Botswana’s vast diamond wealth discovered in the 1960s. Half a century after that discovery, Botswana had become one of Africa’s fastest growing economies. Its capital, Gaborone, is a thriving city of just under a quarter of a million people with skyscrapers sprouting up in every corner. 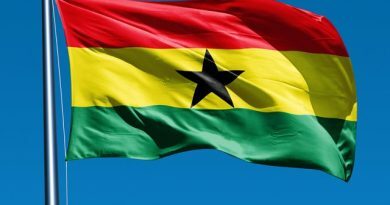 As an elder statesman he was involved in mediation efforts across Africa, including Kenya, Lesotho, Swaziland and the Democratic Republic of Congo. He was also chair of the International Panel of Eminent Personalities which investigated the 1994 Rwanda genocide. According to a family statement, Sir Ketumile “died peacefully at Bokamoso Private Hospital surrounded by his family on June 22.A state funeral will be held at his birthplace in Kanye on June 29. ← We Are Changing: New Face, New Logo.